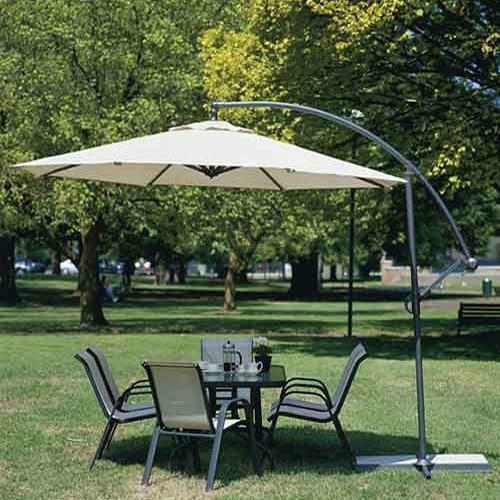 This is a convenient and stylish offering from the house of Cantilever Side Pole Umbrellas 'N' structures. In attractive color it gently shades the area and gives it a secluded and peaceful look. Enable you to spend quality time outdoors and even enjoy the gentle rain without getting wet. We offer a diverse range and you will definitely be spoilt for choice with our varied offerings. We Adapt Affairs began its functioning in the year 1985, as a Manufacturer, Wholesaler, Trader, Importer and Service Provider of high-quality Portable Tent and Exhibition Kits. Offered products range consists of Tents, Gazebo Tent Structures, and Portable Pop Up Tents. All offered products are made using quality tested material and latest machines. These products are well known among our clients due to their fine finish, excellent strength, intelligent pop-up design, fully waterproof, optimum quality, and lightweight. We are aided by a fully-integrated infrastructure facility, which is laced with the modern tools. It enables us to develop quality adhering array of products in bulk quantity. To assure that all the processes run smoothly, we have separated our infrastructure into departments like manufacturing, quality, logistics and R & D. Due to our on-timely delivery and easy payment options, we are able to get the faith of our respected clients. Also, some of our clients are Videocon Industries, HoneyWell, Carry well Interiors, Citizen Scale Pvt Ltd, Tetra Pack, Daytona Helmets, Johnson & Johnson, Mohan Group, Reliance Money, Property Shop – Dubai and many more.